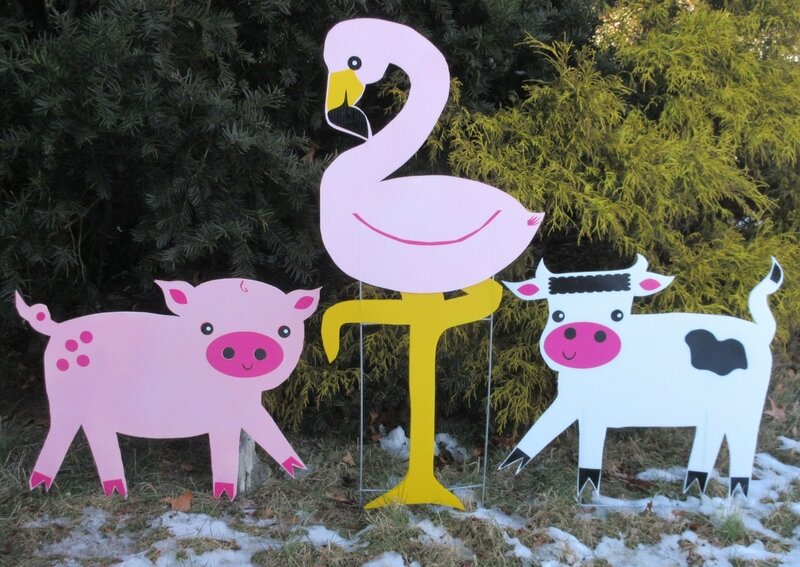 Lawn Flockings - 15 pigs, cows or flamingos descend on your target - it's a riot! 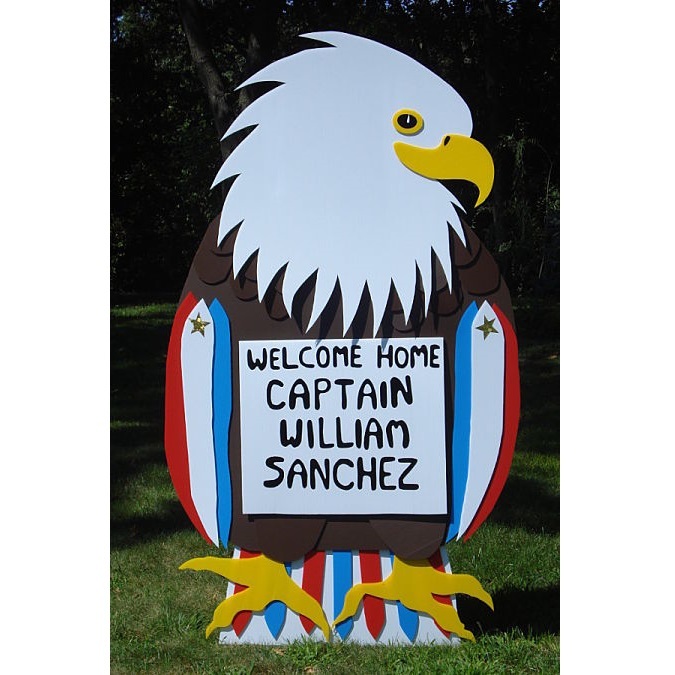 ​call 631 875 6898 to order! 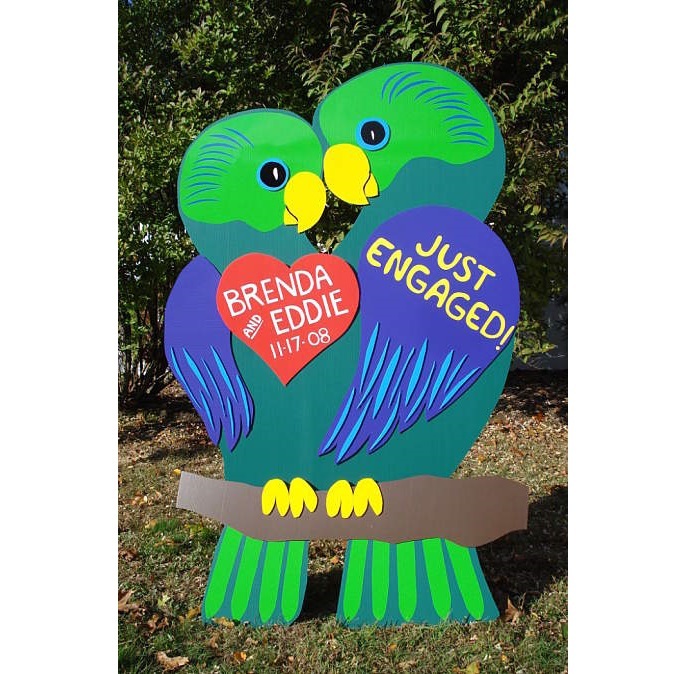 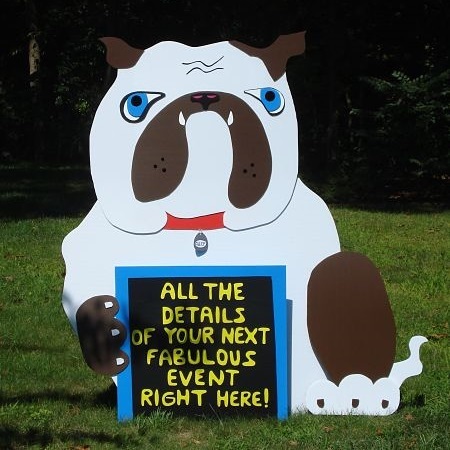 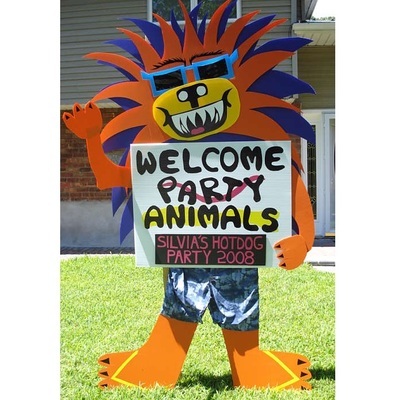 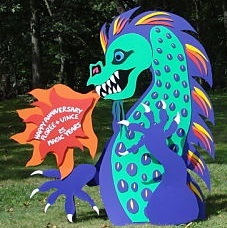 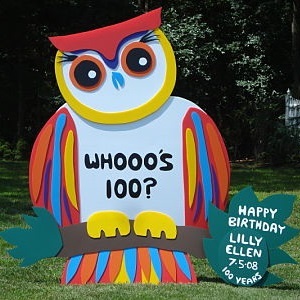 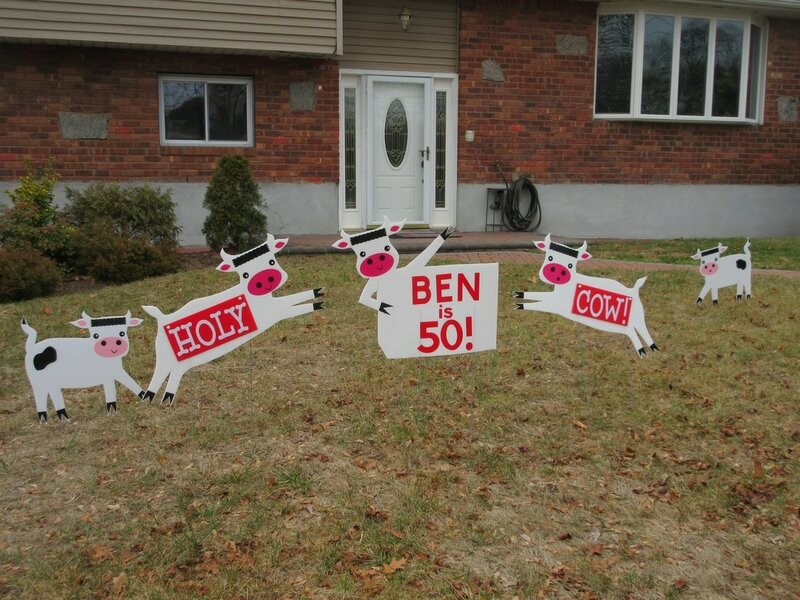 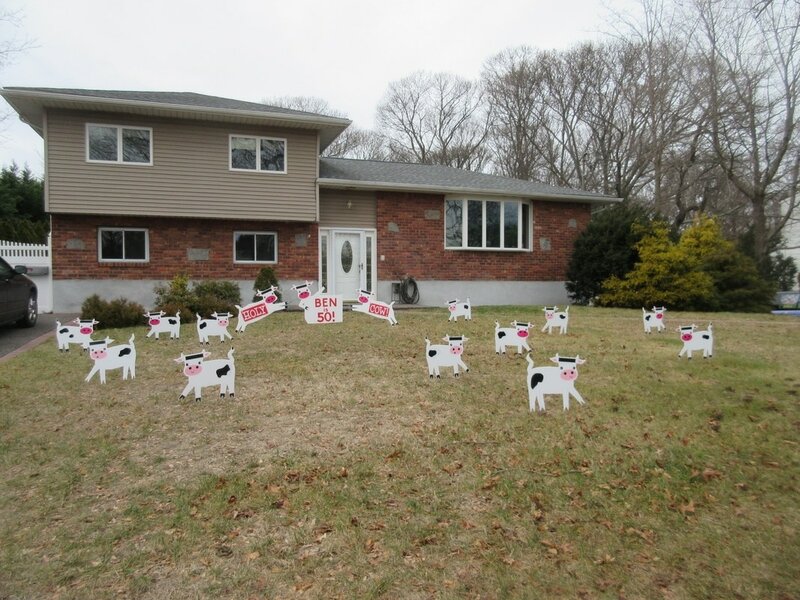 let a 6ft tall, happy birthday sign land in your front yard!